Megabite Design has been helping businesses with their websites since 1997, and have gained a lot of experience since then! I’ve set up this page based on questions that frequently come up. Do you build e-commerce sites so I can sell my products online? Absolutely, and I use WooCommerce. I’ve set up several sites using this software, one with subscriptions for recurring donations. It’s free for a basic setup, but usually requires one or more paid extensions, especially if you are selling hard goods, or want to use a specific credit card system. Be sure to have awesome images of your products ready to go, along with the prices, any ‘variations’ (color, size, etc. ), dimensions, weight, which shipping company you intend to use, how you’re charging taxes. If you’re selling downloadable goods, the set up is much easier. If you plan to use PayPal, upgrading to a Business Plan will move things a long much quicker. It really depends what you want. Some businesses shout out low prices for a basic web template that looks similar to all their other clients, then stick you with an expensive maintenance plan. I’ve added a fairly complex website estimator tool or you may use the contact form to begin the process of obtaining a quote. A static “brochure” web site will start around $2,000, but one with products for sale will be $4,000 and up. A site will also cost more if you need help organizing and editing your copy, setting up email and obtaining photos. Why are web sites so expensive? You need to look at your site as an investment that will have a good return in the future, rather than simply an expense. Plan to spend a percentage of what you think the site will generate in revenue. A well designed and planned website will get you much further than something too cheap or free. As the old saying goes, you get what you pay for. How long does it usually take to build a web site? Anywhere from 10 to 40 hours +, typically, depending on how well the content is organized and how much research has been completed ahead of time by the client. Check out the the process to see the considerations that go into a site. Someone started my site and vanished. Can you help me? That depends if they left you the administrative information to get into the back end of the web site. I have been able to play detective and find enough information to get a site going again. I use exclusively WordPress to create websites. It helps immensely to have Photoshop for resizing, cropping and editing images. 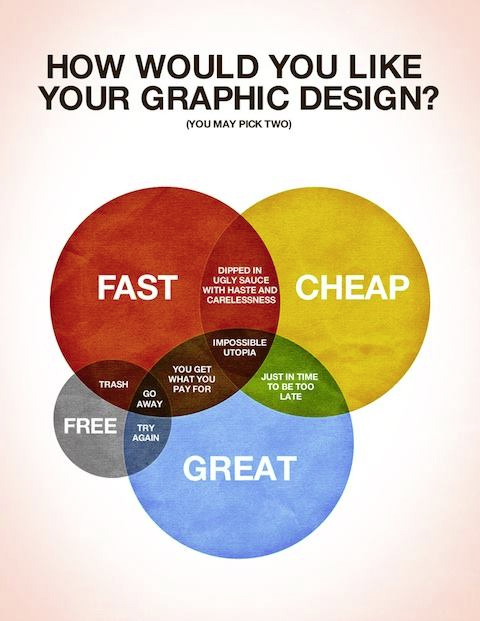 Illustrator can help as well, especially when creating logos. I believe the most important part of any web solution is the customer experience. If text is too long, it will go unread. If it stretches too far across the page, the reader will lose their place and give up. If the information they’re looking for isn’t easy to find, they’ll go elsewhere. If the page takes too long to download, they’ll click on the next link in their search result. The particular nature of a business does not matter to a good designer. Our job is to interpret your needs and your customer and design to attract more business to yours. 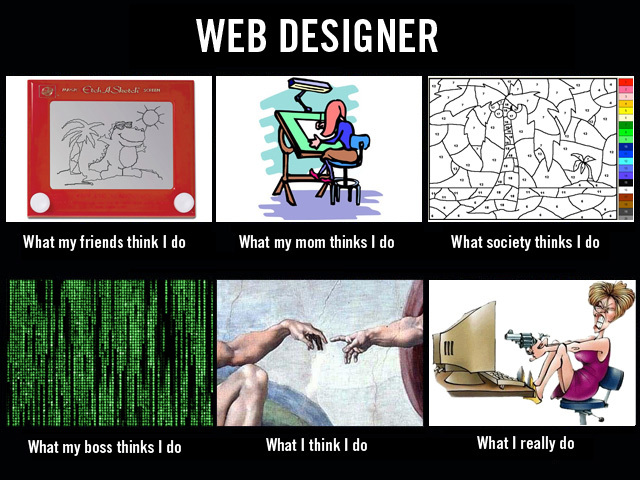 I already have a developer, I just need a design. You do that? That’s fine! We will create a layered Photoshop document, choose the web fonts and package it up for you. I already have a design, I need it turned into a website. Can you help? Of course! If the design is created in Photoshop, I’ll need all the images used to create the Photoshop document in their original format. If there are shapes and icons, I’ll need those in the size, color and transparency in the finished design. How do I get good search engine ranking? Besides working for Google? Knowing what terms people will use when searching for your site is a good start. Using proper hierarchy, having your words in text rather than images, properly tagging and titling your pages and images also helps. What theme are you using for this site?